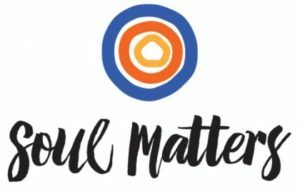 Soul Matters is a program shared by over 170 UU congregations, including Northlake Unitarian Universalist Church, who explore the same monthly worship themes. In this way we build greater connections as Unitarian Universalists. To read more about the themes, please click on the links below to request access to the resource packets. Transition and change rule the flow of life. There is no going back. The current of time is just too strong. …the wholeness offered us is not returning our lives to their original state but working with what remains to make something new. The shards are not pieces of the puzzle that needs put perfectly back together, but building blocks waiting to be molded into a yet to be imagined form. In the month of April, we will explore Wholeness, not simply as that which has never been broken, but as the re-imagined, ever changing all that is. Our journey stories are an important part of our UU faith – our unique stories are a central piece of our spiritual growth. We listen to and encourage one another, and make room for our distinct paths. In this month as we explore what it means to be a people of Journey, we remind ourselves that the path is sometimes obscure, the steps tender — and involving as much leaving behind as stepping into. What does it mean to be a people of trust? This month we explore the spiritual practice of building our trust. We enter this effort together trusting that as individuals we can face what comes our way, trusting that when our individual resources are not enough our communities will be there to support us, and trusting that even when the problems of the world seem too big our collective action can, and does, make a difference. Unitarian Universalism is intrinsically a faith embracing possibility. Historically, when others saw depravity and sin at the core of human identity, we saw potential–sometimes with hardly any boundaries. When many were preaching that this world was fallen and we should look instead to the hope of an afterlife, we found ourselves falling in love with the possibility of heaven on earth. Theologically, you might say that we were the people that believed that God hadn’t given up on any of us and so we shouldn’t give up on each other or this world. Psychologically, it’s led to us being a people of “why not?” Why not give people another chance? Why not fight what seems a losing battle? Why not risk a little failure? Unitarian Universalists love puzzles. We proudly announce that we are the religion that loves questions and questioning. Or to put it another way, we love figuring out life’s mysteries. But what if mystery isn’t just something to figure out? What if it’s also something to be listened to? This is the lesser recognized call of our faith. Being a people of mystery isn’t just about engaging life as a marvelous puzzle. It’s also about allowing yourself to be spoken to by life’s wonder. Sitting at the heart of mystery is not the unknown, but unity. We fall into mystery and it falls into us. Its voice is one that whispers, “I am you and you are me.” Mystery doesn’t put up barriers; it dissolves them. “What is it that takes you back, and where does it take you?” These may be our most important questions this month. “What takes you back?” invites us to see memory as having its own volition. Not a skill we manipulate, but a sacred energy that “wants” something from us, or “hopes” something for us. And “Where does it take you?” The space of memory is elusive. Mysterious. Seemingly beyond our grasp. But here’s what we do know: it is in the space of memory that we are somehow held together, and also re-assembled. As we remember, we are re-membered. Most often, we’re encouraged to “stay true to your vision.” We’re warned that without a clear vision, we’re vulnerable to whatever winds blow. It’s true. A clear vision anchors us. It gives us direction and hope. It is, indeed, a precious thing to which we should hold fast. It is also, of course, imperfect. As Unitarian Universalists, we also know that one vision isn’t enough. As clear as our perspectives may be, we all know by now that none is complete. To see the entire view, we need everyone’s vantage point. What a delight and opportunity! Learning about the visions of others isn’t just a way of making up for your flawed perspective. It’s also an invitation to see the world anew! And while having to let go of precious visions and dreams is painful, it’s also exhilarating to evolve and grow. We cling. You name it, we’ve wrapped our grasping fingers and anxious hearts around it. Whether the object of our grasping is good or bad is not, as we learn, truly the issue. The grasping itself-that’s the real problem. Holding on too long and too tightly is never good for the soul. What might we gain by Letting Go? When we talk of balance, it’s natural for calm and rest to be the first things that come to mind. We are often so weighed down by responsibility and worry that it only takes one drop of something unexpected to tip us over. So, yes, we long for rest. And yet, balance is as much in the dynamic tension in the moment when the diver stands at the end of the diving board, about to go all in as it is in the calm repose of re-centering. It’s not just about rest, but about resting up for a journey. Balance allows us to catch our breath, but it’s also about finding our center so we can end all our aimless wandering around. Balance, then, becomes our source of strength that gets us where we need to go. spiritual. Without tending to our personal needs and spiritual sustenance, it is difficult to maintain effective engagement in the work toward collective liberation. Join us this month as we consider both the personal and collective aspects of liberation. Every religion worth its salt will tell you that the reason to pay attention to the present moment is so that we can better hear what life and our hearts are trying to tell us. Embodied living is not simply about being grateful for the unnoticed gifts in front of us; it’s also about noticing that every moment and every context –- no matter how imperfect, messed up and incomplete – is trying to talk to us! The reason we are called to allow nature to embody us is not simply so that we can feel our interconnectedness; it’s so that we can allow that interconnectedness to tell us its wisdom. Let’s take the time this month to hear this wisdom. When it comes to abundance, our culture and our religion are clearly at odds. Our culture cries, “Accumulate! Go and get what you want!” Our religion counsels “Appreciate! Learn to want what you have.” But appreciation only gets us part of the way there to live a life with abundance. Noticing places abundance in view, but only new commitments put it within reach. So, what needs to change so you can dance with what is plentiful rather than worrying about what is scarce? What will make room for new abundance to enter in? What changes will free you from the urgent and allow in the important to experience the abundance that life can bring? James Baldwin wrote, “To act is to be committed, and to be committed is to be in danger.” Risk is usually associated with the dare devils and thrill seekers. The real danger, we’re told, is a life of boredom. The battle is between the bland and the bold. Yet, as James Baldwin reminds us, it’s not quite that simple. He places commitment, not thrills, at the center of the game. For him, the ones to be admired are not so much the dare devils as the dedicated ones. From this perspective, the important question about life is not “Are you willing to jump off? Will you be daring?” but rather “Are you willing to jump in? Will you stay true?” The most deeply rewarding risks are the ones that involve jumping into causes and putting our hearts in the hands of others. Join us this month as we explore how we risk jumping in for our most important commitments. Most often when talking about perseverance, we’re asked, “Are you ready to be strong?” The standard recipe is well known: Keep moving forward! Dig deep; you are stronger than you know! But maybe this isn’t the path to perseverance; maybe it’s just the path to breakdown. As a people of perseverance, we are being called not just to grit and strong wills, but to gentleness and self-care. Constantly pushing ourselves without also giving ourselves the gift of pause gets us nowhere. Perhaps vulnerability is the real secret to perseverance. We don’t have to give up those pep talks about digging deep, but right alongside that, let’s make sure we’re doing the more tender work of propping each other up and reminding each other to breathe. UU theologian Rebecca Parker wrote “Our times ask us to exercise our capacity for prophetic witness…our capacity to see what is happening, to say what is happening and to act in accordance with what we know…Prophetic witness…is the ability to name those places where we resist knowing what needs to be known.” We need prophetic communities now more than ever. Most of the time, holy work is about finding common ground among differing world views. But sometimes, holy work is about prophetic judgment and knowing when some views need to be opposed. It’s not just society that celebrates status, stuff and over-scheduled lives; we cling to them as well. The busyness of our lives is not just overwhelming; it’s also seductive. Over-scheduled lives don’t just tip us over; they tempt us. They promise us power, affirmation, and proof that we are worthy. To be busy is to have made it. To be over-committed is to be wanted and needed. No wonder we have such a hard time giving it all up. Changing how we perceive this busyness takes courage and the support of an alternative community that celebrates a different equation of “worthy living”. That Does It Mean To Be A Community of Healing? The easy answer: it takes work – a dedication and a willingness to dig in – to fix what’s been broken, to listen away each others’ pain, to ask for and to offer forgiveness when we are not the good people we so want to be. So yes, it is easy to remember that it takes work. But what if we remembered that healing always begins with perception and sight? Let us begin to reframe to open our hearts to healing. Invitation calls us to make space, to create an openness that welcomes someone, or some idea, in. How do we cultivate such a space, in our physical landscapes and in our hearts and minds? What practices do we need to engage to open ourselves up to what is offered to us, and to offer space to another? We invite you to engage with all the aspects of invitation in this month of new beginnings.